2009 Canadian university curling champions Hollie Nicol (Wilfrid Laurier Golden Hawks) and Chris Busby (University of Regina Panthers) both captured gold medals at the 2010 Karuizawa International Curling Championship in Karuizawa, Japan. Nicol, silver medalist to China’s Bingyu Wang at the 2009 World University Games in China, took a single point in the extra end to shade Sweden’s Stina Viktorsson 12-11 in the championship game. The 22 year-old Nicol with teamates Danielle Inglis (21), Laura Hickey (21) and Hilary McDermott (21) defeated Germany’s Petra Tschetsch 7-6 in the semi final to advance to the championship game. On the men’s side, Busby dropped Japan’s Yusuke Morozumi 10-3 in the final with the game ending in the 9th end with a Canadian steal of three points. Busby (27) and teamates Jason Obst (23), Justin Mihalicz (23), Brad Wallin (22) and alternate Brent Rodgers (21) scored three in the 10th end to defeat New Zealand’s Sean Becker 9-6 in the men’s semi final. The women’s bronze medal was won by Germany’s Petra Tschetsch 7-5 over the host country’s Kai Tsuchiya and the men’s bronze medal was captured by Korea’s Chang-Min Kim 12-5 over New Zealand’s Becker. Both Canadian teams also defeated the Chinese national teams in the round robin portion including a 7-3 victory by Nicol over reigning world champion Bingyu Wang. 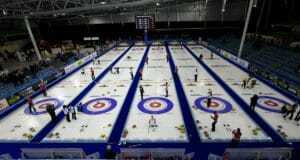 The Karuizawa International Curling Championship was established for commemoration of the 1998 Nagano Winter Olympics. Its main purpose is to disseminate curling throughout Japan and to promote local people’s communication. The event features eight teams for each gender with six foreign guest teams and two domestic guest teams per gender. Each gender play an 8 team round robin followed by the top four teams advancing to semi finals. 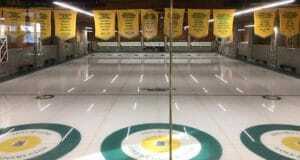 The 2010 CIS/CCA University Curling Championships will be held March 10-14 at the Saville Centre in Edmonton, Alberta. The winning men’s and women’s teams will represent Canada at the 2011 FISU Winter Universiade in Erzurum, Turkey January 27 to February 6, 2011.